This golf bag is for the cart-rider or pusher who wants amazing storage options without paying a premium price-tag. 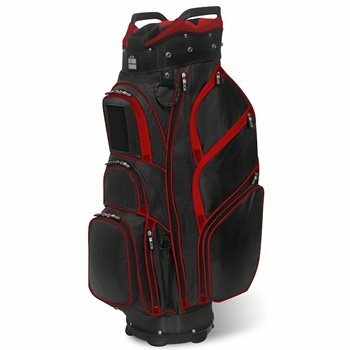 With a 14-way top and 11 pockets to hold everything from your car keys to an extra jacket, this 100 percent Dobby Nylon golf bag lets you carry all the gear you could ever need onto the course. My husband was looking for a bag with lots of pockets and this one has 13 pockets that includes a hydration pocket really cool bag!